It was a very pleasing result for the Kember family to have a 100 per cent clearance for their 15th annual Gleneith Border Leicester sale at Ganmain. Strong interstate interest in their stud rams saw a top price paid of $3400, while the 96 rams offered sold for a $1102 average. “It shows confidence in the industry and was a credit to our sheep,” co-principal Wes Kember said. The top price was paid by D.L and C.A Jackson, Moyston, Victoria, for a stud sire with measurements of $uperborder$ Index of 140.8 and 10.2 PWWT. 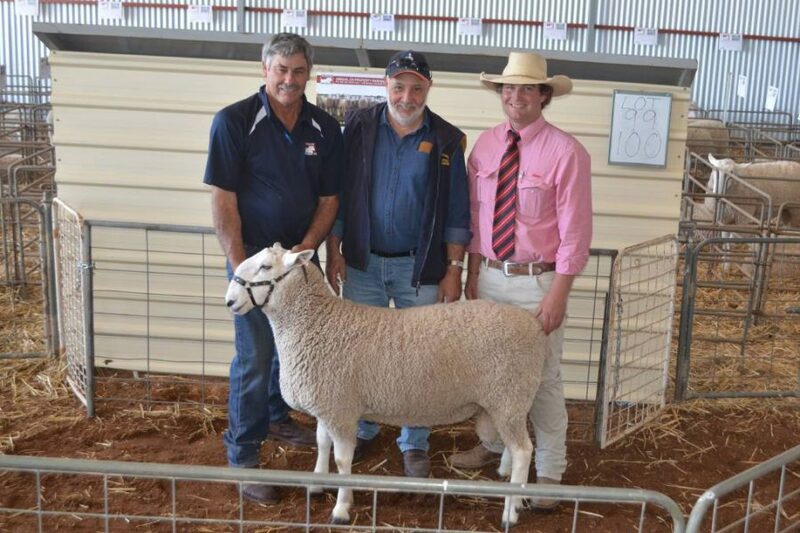 SA stud breeder Ian Carr, Castle Camps Border Leicesters, Keith, picked up two new sires for $1800 and $1300 apiece. “The rams have a good balance of figures and are backed up with a good carcass,” he said. Local breeders of first-cross ewes and volume buyers of the rams included Andrew Cummings, Coolamon, who purchased 16 for average price $818. Mr Cummings has been buying Gleneith rams for the past ten years and joins them to station-bred Merino ewes purchased through the Hay saleyards. At the recent first-cross ewe sale held in Narrandera, his draft of maidens sold for $306, which was the second highest price on the day. The sale was settled by Elders, Wagga Wagga, with Joe Wilks taking the bids.